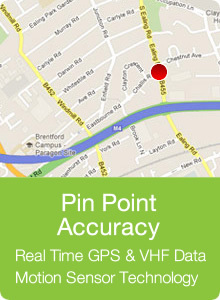 For the best car trackers in Newcastle come to Thatcham approved supplier and installer TrackerFit. We operate across the UK to give motorists added security for their vehicles. Whether you have invested in a new car and want the assurance that if it is stolen there is a better chance of recovery, or if your insurer has suggested a car tracker to bring down your premiums, TrackerFit are the ideal choice for car trackers Newcastle. At TrackerFit we supply and fit a range of car trackers in Newcastle from the leading brands in the market. 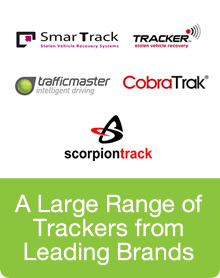 Our tried and tested car trackers include devices from Trafficmaster, CobraTrak, SmarTrack and Box. Thousands of motorists already use these trackers to give them peace of mind and the technology they use has been recognised with several industry awards. This means you can rest assured that we only recommend and fit the best trackers on the market to help protect your vehicle. All our car tracker fitters are experts at their job and have installed the devices in everything from motorhomes and Range Rovers to Porsches and Aston Martins. With many years of experience our team are best-placed to ensure your tracker is fitted quickly and professionally, causing the minimum of fuss to your day. Trust our team at TrackerFit to advise you on the best tracker for your vehicle and get it fitted as soon as possible, allowing you to get back on the road with the added security feature. The car trackers we fit use the very latest GPS, GSM and VHF technology to give pinpoint accuracy and consistent service, wherever your vehicle is. This advanced location technology, global positioning systems, mobile phone and motion sense technology is installed discreetly in your vehicle so, if the worse should happen and it is stolen, you have a better chance of seeing it again. Our car trackers Newcastle are the perfect tool to help with recovering stolen vehicles and are proven assets for motorists. Our car trackers recognise the illegal movement of your vehicle through the motion sense technology and as soon as you have confirmed that it has been stolen our Secure Control Centres get to work. They will track your vehicle and liaise with the police to assist in its recovery. Our control centres are in operation 24 hours a day and all trackers have battery backup, so you can rest assured that we are always here and your tracker will be doing its job. If you need car trackers Newcastle but are unsure which to choose then speak to our professionals for honest, reliable and free advice. We have more than 25 years of experience in supplying and fitting car trackers in all types of vehicle, from motorhomes to Porsches. Get in touch now on 0800 756 5100 and find out how a tracker could lower your insurance premiums and give you peace of mind.